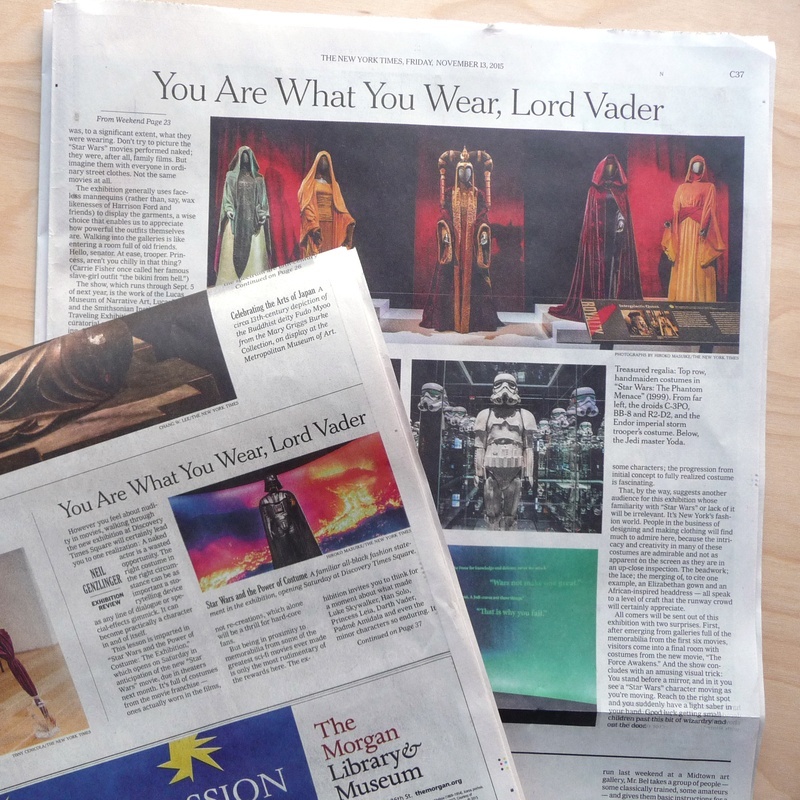 C&G Partners' latest project, 'Star Wars and the Power of Costume', appears prominently today in The New York Times. The exhibit, which opens tomorrow at Discovery Times Square, coincides with 'Star Wars: The Force Awakens', the new movie due in theaters next month. This latest exhibit features new dramatic interior design, audio and visual effects by C&G Partners. Our team worked with never-before-seen costumes (and one loveable droid) from the upcoming film. The exhibition, which runs through next fall, was designed in collaboration with the Lucas Museum of Narrative Art, Lucasfilm, Smithsonian Institution Traveling Exhibition Service, and Running Subway Productions.